To begin with, because it is well established in philosophy of science that “special sciences” (i.e., everything but fundamental physics, including non-fundamental physics) do effectively deploy causal talk and cannot, apparently, do without it . The puzzle of causal vs non-causal talk in science has always been at the fundamental level. ...< It simply means that explanation in the special sciences always invokes — or seeks to invoke — causality. This is not the case, or rarely so, in fundamental physics. SciSal, you have said before that fundamental physics has no use for causal talk, and yet it is shown to you that Einstein and the physics textbooks use causal language. Causality is indeed central to fundamental physics, and I defy you to show me some part of physics that does not use causality. You say that it is "well established in philosophy of science" that fundamental physics can do without causality. Maybe so, but I doubt that you can find one physics textbook anywhere that agrees. It is also false to say "the field equations of GTR do not explicitly include any causal talk". Those equations are hyperbolic partial differential equations, and solutions are causally determined by the Cauchy data. The GTR equations are as explicitly causal as any equations in all of science. Maybe you are using some peculiar concept of causality. I do not see why P1 (no causation) would imply C (causal reductionism). I would say that all fundamental physics is based on causality, and that is the best basis for causal reductionism. No one has to accept all solutions to GTR equations, such as time-like curves and backwards causation. It has always been understood that these equations constrain reality, but that lots of solutions are likely to be unphysical for other reasons. I also disagree with your claim that "we know" that GTR is not a fundamental theory. It is as fundamental as anything in physics. Even the string theorists, who argue that string theory is the truly fundamental theory, take GTR as one of their premises. SciSal, you say that there is no causality in fundamental physics, but then you say that none of the known theories are fundamental. So your statement is vacuous. As Coel explained, quantum mechanics is causal. So is string theory. Both formally and in interpretation. The details are in any textbook. Now, in what follows, I do not want to commit myself to the view that there is no causation in fundamental physics – I do not even want to pretend that I am competent to judge the issue. However, it is important to keep in mind that many able philosophers have concluded this. But be that as it may, it just is not the case – contrary to what numerous physicalistic metaphysicians take for granted – that causation is uncontroversially present in fundamental physics. Therefore, such philosophers should perhaps think twice before declaring, from the armchair, that there is causation only at the fundamental physical level. He is saying that people who understand physics say that causation is uncontroversially present in fundamental physics. Philosophers say the opposite. He does not understand physics, so he is not judging. To begin with, it is a historical fact that the notion of cause has disappeared from physics as the subject has developed (see Kuhn 1971; cf. Loewer 2001). More importantly, many philosophers who apparently know their physics have argued that the whole idea of causation is not even applicable to fundamental physics, or is incompatible with it. Very briefly, and roughly, one of the problems is that in some cases, one has to specify the entire state of the whole universe at one time in order to determine the state of even a small region at some later time. And in such a case, it is difficult indeed to consider anything as a cause (Latham 1987, Redhead 1990, Field 2003, cf. Loewer 2001, Hitchcock 2007, Elga 2007; this idea goes back, of course, to Russell 1912-13). Yes, Russel said this, as I pointed out before. But this is crazy stuff. Almost every word of that paragraph is false. In particular, it is not true that "one has to specify the entire state of the whole universe at one time". It is akin to astrology to believe that things are affected by the distant universe. The physics textbooks say that this is impossible. I assure you that Nobel prizes would be given to anyone who could show that the entire state of the universe was needed to determine the state of a small region. This is another example of how modern philosophy has diverged from science. Every single reference is over a century out of date in its understanding of science. It was foolish when Russell said it in 1913, and it is more foolish today. I did not know Kuhn (Mr. Paradigm Shift) wrote an essay attacking causality. I could not find it online. This is weird. I don't want to pick on Pigliucci, because he appears to be just reciting conventional wisdom among philosophers of science. But physics is all about causality, such as predicting the future from the present. I don't know how anyone could get any other impression. What do they think physics is about, if not causality? I don’t count nomological entailment as causation. I have criticized him before on this point, and I am trying to figure out how he could be so wrong. He seems to be saying that if physics ever finds a truly fundamental theory, where everything is reduces to equations, then there will be just nomological entailment and not causality. Nomological means "relating to or expressing basic physical laws or rules of reasoning". To me, this is like saying: "Energy does not arise in physics. In a fundamental theory, energy is described by formulas, and a formula is not the same as energy." It is just playing some stupid word game and pretending that it is profound. I think that the argument is that if the laws of physics are explaining why "punching John in the face caused his nose to break", then we do not need causality anymore. That is, it is not really causality once it is understood. This reminds me of the philosophers who say that artificial intelligence (like playing chess) is not really intelligence once it becomes a cheap app on your smart phone. That was true a century ago. Physicists could measure the half-life of a radioactive element, and thereby say that the atom decays with probability X, but beyond that, spontaneous events were mysterious. Then quantum mechanics was discovered as a way to find causal explanations. Physical states are described by a wave function, time evolution is governed by a differential equation, and probabilities of (apparently spontaneous) events are given by a Hilbert space operators. Quantum mechanics is routinely applied to explain and predict chemical reactions, silicon chips, lasers, and much of modern technology. The explanations are completely causal, or you would not be able to read this message. While it might seem that your computer is spontaneously sending a signal, every component is designed with a causal understanding of how a state at one time is causing a state at a nanosecond later. I would go further, and say that incorporating causality into fundamental physics was the most important intellectual achievement in modern times. Before 1850, we did not have causal explanations for any of the four fundamental forces. Now we have fully causal theories for all four, and those theories have led to the most striking technological progress in the history of the planet. Panu, I appreciate your clarification, but it does appear that all the physicists believe that causation is present in fundamental physics, and all the philosophers believe the opposite. This is a funny controversy, because it does not appear that any philosophers actually talk to any physicists. If they did, then no one would say "it is a historical fact that the notion of cause has disappeared from physics as the subject has developed". As usual, Pigliucci says I am wrong. Update: Here is a good page on why scientists disrespect philosophers. Mathias Frisch does indeed say, "According to a view widely held among philosophers of science, the notion of cause has no legitimate role to play in mature theories of physics." He is not too interested in the opinions of physicists except to note that a popular modern textbook says that the principle of causality is "the most sacred tenet in all of physics". Elsewhere I found a philosophy book that said that physicists adhere to "causal fundamentalism, which claims that the job of all of physics is to uncover the prevalent causal relations in nature." So yes, there is a severe split between philosophers and physicists on this issue. 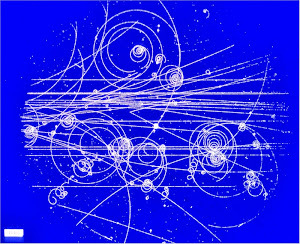 Dominik, in EM theory the fields at some spacetime point are caused by the fields and waves in the backwards light cone from that point, as per Maxwell's equations. And yes, that has commonly been called causation for 150 years. You seem to be saying that causality in GR is not fundamental because gravity waves are emergent. 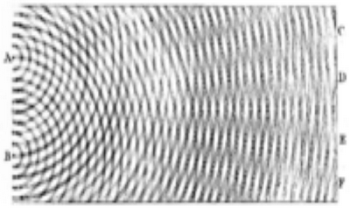 However there is not any (relevant) distinction between fields and waves in GR. Not in EM either. The Sun causes the Earth to stay with a gravity field. You can think of it as the Sun sending gravity waves to the Earth, altho the ripples in the waves are not detectable. If you admit that the waves are causal, then you have to admit that the fundamental field is causal. Marko, all of the sciences talk about probabilities, so that talk does not make anything "really spontaneous". And whether or not it is really spontaneous does not have anything to do with causality. Something can be caused whether spontaneous or not. Maybe there are philosophers of science who think that causality is restricted to deterministic systems, but not physicists. You say that redshifts are caused, but that QM does not provide causal explanations. If you are really a physicist, then you surely know that those redshifts are displacements of spectral lines that are entirely explained by QM. So what are you trying to say, that there is no causal explanation for the lines, but there is one for the shifts in the lines? You will not find anything like that in a physics textbook. Marko confirmed that I was stating his causality theory correctly.